How ’bout a bit more ‘coast’? 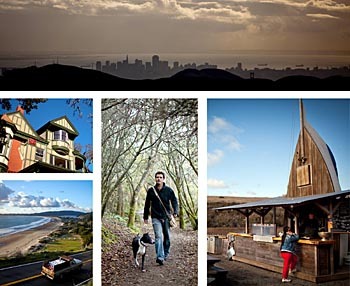 How about California, Marin county in particular, just north of SF? It’s the place I’ve called home for over 10 years now. 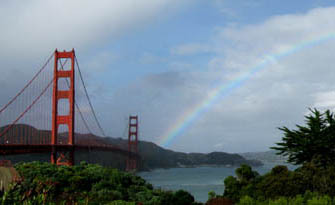 It was mostly farms and open land until the Golden Gate Bridge was finished 75 years ago, at which point growth took off, you could drive there – no ferry! The eastern part of the county is mostly suburban, the western part is much more bucolic, and has one of our country’s best National Parks: Point Reyes, it should definitely be on your itinerary should you find yourself in this part of the world. You could explore it for many, many days, and still have just gotten started. 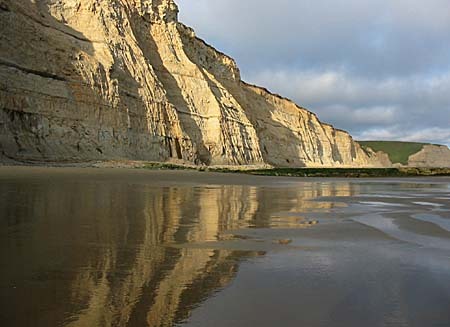 Drakes Beach (above) is rather narrow, bounded by tall cliffs, how far south you can walk depends on the tides, and how much sand the ocean has deposited, or stripped away. Limantour spit (above) – this is a looong walk, all the way to the northern end, but you’ll feel like you are at the edge of the continent… and in fact you are. 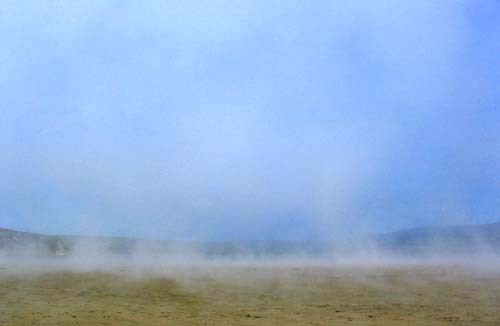 Conditions vary widely, if you’re lucky you might find yourself in a magical moment – this one, of the ever mercurial fog rising from the sand. If you go, plan to spend the day, the entire day. You’ll be glad you did. As for the culture of Marin, much has been written, some complimentary, some not. I’m a transplant, grew up and lived back east ’til I was 40. And to tell ya the truth, after 20+ years I still feel a bit like an outsider. My background is Boston/Philadelphia born parents who were church-going old school traditionalists, grew up thru the Depression, and pounded those values into me. Then at 10 YO, I went to a ivy-covered brick-walled boarding school, studied latin and greek, wore a jacket and tie to all classes… and went to church 6 days a week, and twice on Sunday. Discipline, Discipline, Discipline, and mo’ Discipline! Soooo… when Marin-ites come across as being ‘special’, self-centered and can barely fit their heads thru the door, I still feel very ‘east coast’ and happy to remain so. ‘Stranger than paradise‘? – a good title. So…. visit, enjoy the landscape, but ignore the people, if you feel like it. Here’s some web design *gone wild*, i found it really irritating. You might not. The images and info are nice (that’s why i post this link), but the web design is… well.. sometimes people do things digitally ‘because they can’. Hope you’ve enjoyed the ‘read’ above, be it rant or rave, and enjoy the road.